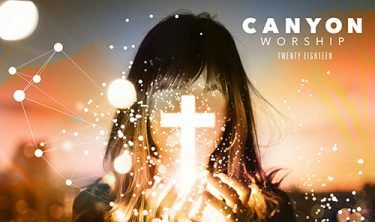 The reverberations of the Center for Worship Arts are being felt all over the Valley, and not just from the latest Canyon Worship album. Though the program is only in its fifth year at Grand Canyon University, it is starting to become a feeder system for churches in Arizona and beyond. Sure, some students have shown signs that they will turn their training into singing careers, but worship ministry careers will be far more impactful in the long run. 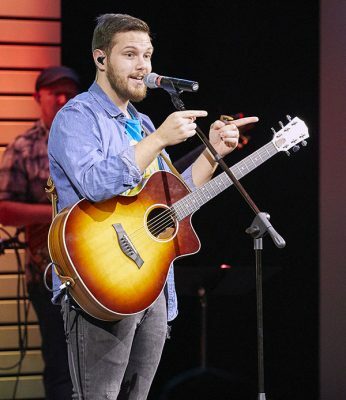 Mallory Denson was hired this summer as Worship Pastor at Paradise Church in Phoenix. “We’re absolutely thrilled to have her,” Lead Pastor Abby Jones aid. Two of those students, Mallory Denson and Aaron Bolton, have that in common and much more. Both graduated last April with degrees in Worship Arts. 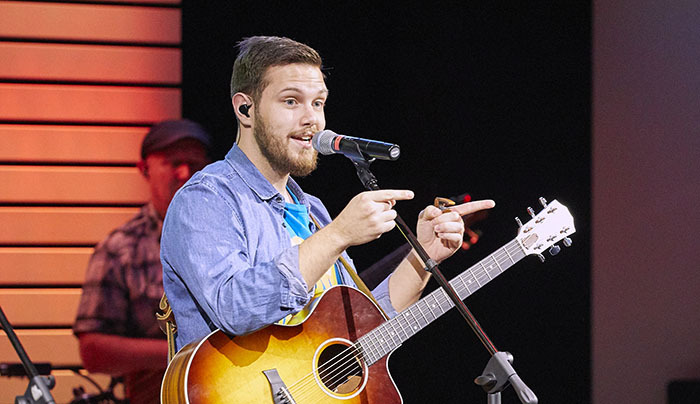 Both sang on the Worship Team, which performs at Chapel. Both have gone on to worship leader jobs at Valley churches. And both have a fine appreciation for the program’s combination of instruction in music and theology plus its sense of community. To be sure, it is a much more difficult transition than just finding an extra musician or two. “You’re not doing schoolwork anymore. You’re doing life,” Denson said. Instead of classes and exams, her days are filled with meetings, scheduling, overseeing technical issues and managing the other musicians. And that’s just for one service a week – imagine if the church expands that number, something she said it’s praying on. “Even if you’re not in the office, you still are doing your job because you’re being there for people, you’re praying for people, you’re meeting with them, knowing about their life and how to pray for them and how to be there for them,” she said. Bolton started attending services at Gateway in his freshman year at GCU and began working there soon after, so he had a head start on what he’s doing now. But that hasn’t minimized the challenges. One of the requirements of the Worship Arts program – that students have a significant relationship with a local church – has paid dividends. Worship Arts students don’t just learn how to write a great worship song or perform for an audience. They also receive a strong spiritual education, and becoming a worship pastor puts all those skills to work. “The Worship Arts program does very well at giving you the understanding of why worship is important and the reason we do it,” said Ronnie Petkovich, another April graduate working as a worship pastor at an Arizona church (Living Faith in Prescott). Canyon Worship 2018 is available on iTunes, Google Play and Spotify. 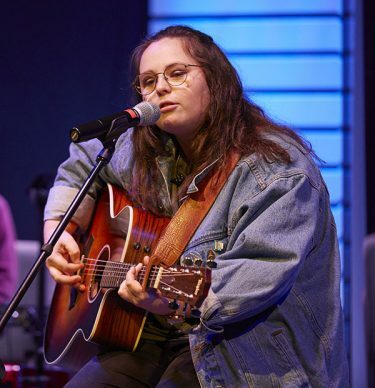 On a recent Tuesday night, a crowd of more than 100 got a chance to hear the Canyon Worship 2018 student artists, including Denson and Bolton, perform their songs. It is the third full-length album produced by the program but was the first such concert to celebrate their work. It might as well have been a job fair, too. “I’ve already picked two or three of them I’d want to hire,” said Kirk VanMaanen, Pastor of Christ Church Peoria. He might have to get in line. So happy to the original vision for the program is becoming reality. Great article Rick.